Butcher block has remained a classic option for vegetable preparation. It can be resurfaced after years of wear. 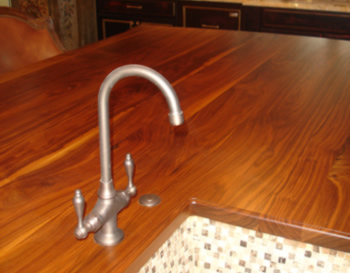 Although traditionally, hard rock maple and oak were the woods of choice for country style butcher blocks, a variety of hardwoods and exotic woods are used to create wood countertops with a classic, contemporary, checkerboard, or sassy style. 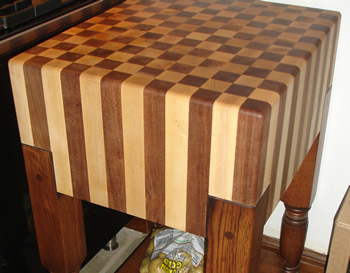 Butcher block requires a periodic application of oil.